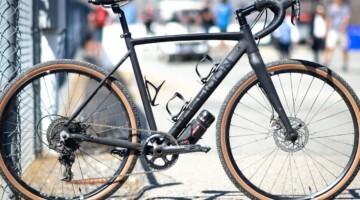 Earlier we shared news of Gevenalle's new 11-speed shifters designed to work with Shimano MTB rear mechanisms as well as their new urban shifter for use with Shimano's Alfine 8-speed internal hub. 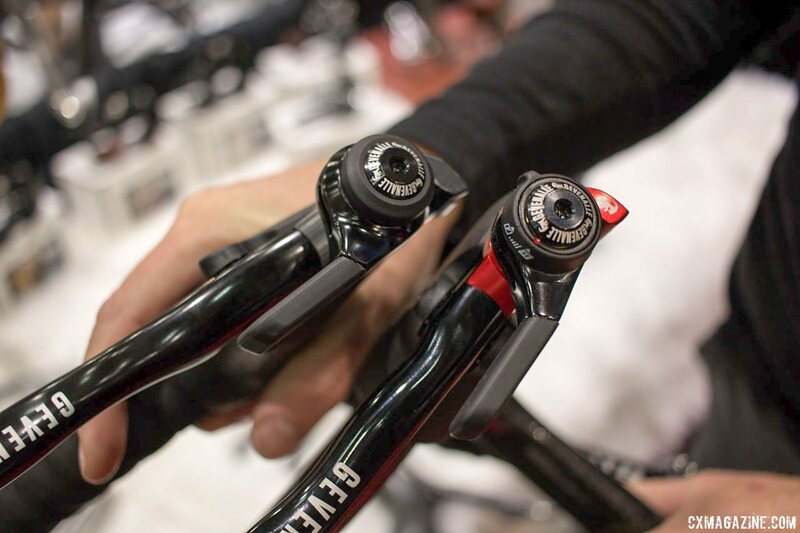 The two new shifters give drop bar riders more choices as to how to outfit their bikes for how they ride. 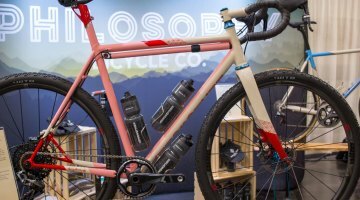 We were excited to see all of Gevenalle's offerings at NAHBS as the brand's DIY ethos and premium on reliability speak to many of us here and we thought it worth another look at what we saw in Sacramento from the Portland, Oregon based brand. The 11-speed GX shifter was, of course, the thing that drew the most attention from us and other show attendees. 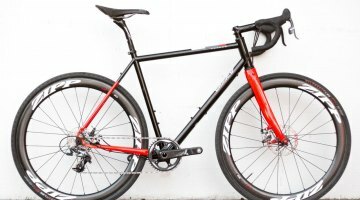 The new shifters let's riders pair drop bars and Shimano's clutch derailleurs for worry free 1x set-ups when run with a narrow-wide chainring. Moreover, the Gevenalle shifter option is easily the most serviceable option out there for those that find themselves in regions where conditions are particularly hard on equipment, like those found in Genevalle's hometown. 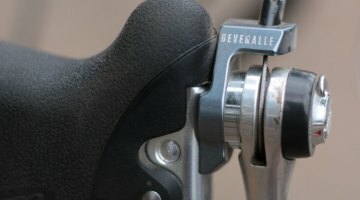 Another shifter option that many still may not know about is Gevenalle's hydraulic levers that allow riders running Shimano drivetrains the ability to use Gevenalle's shifter with hydraulic brakes. Gevenalle pairs their shift mechanism with TRP's Hylex levers for this set-up. HiFi Components' Josh Liberles' bike was configured like this and it represented a great option for the hydraulic disc crowd wanting something different than the current offerings from SRAM or Shimano. 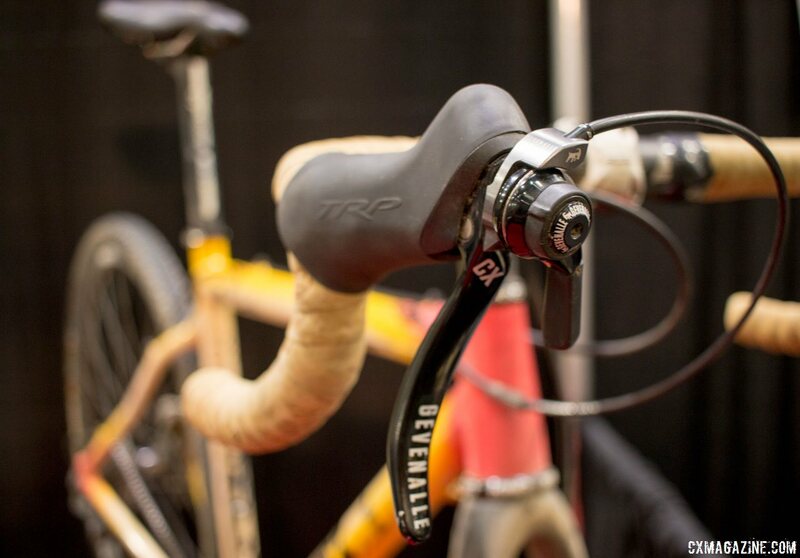 Fans of the brand know that Gevenalle has components at the other end of the shifter cable too. 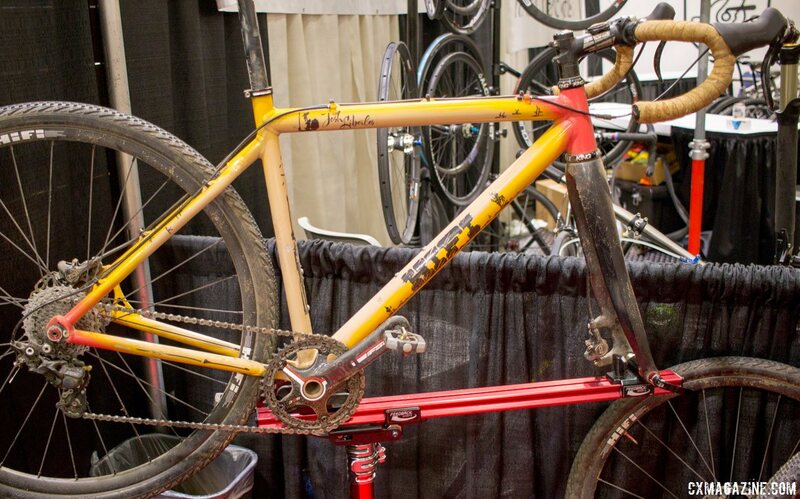 Their Burd rear derailleurs are MicroShift-made and then customized with upgraded pulleys and added grease to keep out muck in typical 'cross conditions. 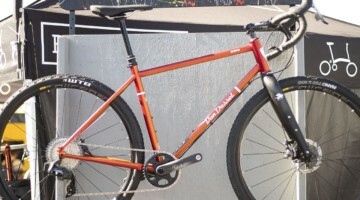 They also offer a front derailleur as well. 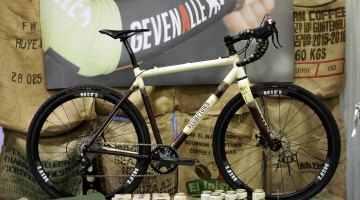 Aside from simplicity and reliability, Gevenalle's other advantage is their pricing. 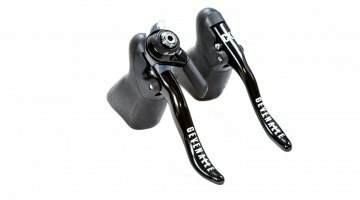 For example, the GX1 11 speed 1x shifters are $169 USD and their 11-speed Burd rear mechanism is $89 USD with ceramic bearing pulleys. 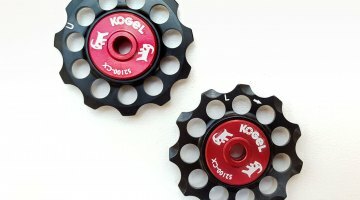 They also offer affordable repair service on their components for riders that like to put their bikes through the ringer. For those wanting to keep costs down, Gevenalle could be a good option. All of this reflects Genevalle's attention to detail. 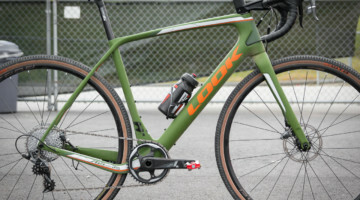 Things like the use of Ti fixing bolts in their shifters, their anodized aluminum or Ti rim brake shoes, the thought out changes to the derailleurs and the pricing all reflect a rider-focused product development approach that we appreciate.